How Does Consumer Debt Affect You Building Wealth? If you’re struggling with consumer debt, you’re more than likely transferring money from savings into your checking every month. And perhaps you are paying fees for those transfers? Or late fees on credit card debt? If that’s the case, consumer debt is positively, absolutely weighing you down and more than likely taking all the fun out of life. You need to regain control. 1 How Does Consumer Debt Affect You Building Wealth? 1.5 Eliminate Consumer Debt: How are Your Dollars Being Spent? 1.9 Eliminate Consumer Debt: Snow Fight! 1.10 Eliminate Consumer Debt: Help! 1.11 What is credit counseling? 1.12 What is Debt Management? The first step for achieving control of your finances to experience true financial freedom is making the decision to dig yourself out from under consumer debt. The thought process that led you to make the decision is a stepping stone. This initial behavioral change will create financial change in how you allocate your money each month. That is if you are patient and consistent. You’ve made a decision to start a journey. In order to reach our destination we’ll need to know where we want to go–and why! Your goals are your target. This is where you aim all your effort. In order to expend the time and effort, it is important to have a clear picture of why you want to reach your goal. This clear picture is a great motivator. It is something you can visualize when the going gets tough. The going will get tough. Creating new behaviors, changing habits and the effort to eliminate consumer debt will require persistence. But if you know where you are going and why–you can do it! However, you will need a roadmap. Your plan will be your roadmap to eliminate consumer debt and arrive at financial freedom! Your plan is your roadmap. There is an infinite number of plans that you can create to help you eliminate consumer debt. That means starting with a strategy that appeals to you and tweaking it along the way. You can find formulas for success online or customize your own. Which one is the best? The optimal plan is the one that works for you. Now that you’ve started this journey–what next? We need to look at some factors that might impact your journey! Who are you and what do you want out of life? I’m betting that what you want in life doesn’t include an excess of debt. In order to eliminate consumer debt it is helpful to know what is motivating your spending. What is it that compels your spending habits? Are you an emotional shopper? Did you even know that was a thing? Is it your thing? I believe the psychology behind our money habits is powerful and bears examination. You can’t fix what you don’t acknowledge. Having a habit of shopping on automatic pilot to soothe your emotions can exacerbate the financial issues you may be experiencing. It will certainly curtail your efforts to eliminate consumer debt. Do you shop after a rough day at work? An argument with your spouse? As strange as it may seem, sometimes people who are under financial stress take on the ostrich pose in order to avoid their financial situation. Unfortunately, they are compounding their problems. Their goal to eliminate consumer debt has been sidelined by emotions–which may become a cycle when the guilt ensues! Are you happy with how you manage your money? If you can recognize your spending faux pas–you’ll get back on the rack for your journey sooner than if you remain in denial! Eliminate Consumer Debt: How are Your Dollars Being Spent? How you spend your money is important in your desire to eliminate consumer debt and become financially independent. This is the flip side to emotional spending. This is when the coast is clear and your journey is on track. Will this object make my life easier? Or is it just something else to take care of? Am I buying this object because of passing interest? Am I buying this item during an emotionally needy time? Being able to look objectively at your purchases will go a long way toward making them count and feel satisfying! Before you spend money at all–perhaps having a good plan in place will give you a feeling of guidance, purpose, and a reason to mind your financial goals! Remember that overall plan for this journey? Part of that plan is having an exact place for your dollars. You need to know what their purpose is. A great starting point is the 50/30/20 budget. These are the everyday things you must have to live: Mortgage/rent, utilities, groceries, automobile expenses (including gas), and medications. These are things that are not absolutely necessary to your life–but really enhance your daily enjoyment! This category also includes payments to eliminate consumer debt (student loans or other consumer debt) and investments. Keep in mind that the broad areas of needs, wants, savings (debt payment/retirement savings) can be adjusted according to your needs. What are the other areas that can be targeted when you set out to eliminate consumer debt? Depending on your situation and which one you chose, it could be done in a variety of ways. There are ways to save money and be creative. They don’t have to be long term. Sometimes, short-term solutions can help cut a huge chunk out of your debt! As an attending physician with a steady income automating bills is a great choice. It will you save you some time and your bills will get paid on time. If you are a procrastinator–this might also save you money! There will be no more feeling the dread creeping up. After a hard day’s work you won’t have to pull out the bills, sign in and pay–that feeling of “have to”. Your automated bills will be painless! Your automated savings will be even more painless! Do you automate your bill payments? In fact, one of the FinCon 2017 keynote speakers, David Bach has a best selling book: The Automatic Millionaire which details how automating your finances can impact your life. Warning: Just remember to check your bank statements for any mistakes when making automated transactions. Even banks can make mistakes occasionally! Reports insist the economy is improving. However, in May of 2018, it was reported that 40% of Americans would not be able to handle a $400 emergency expense. Does lifestyle inflation have anything to do with it for some families? While that may not be true of a new attending physician, lifestyle creep is something everyone must guard against. Physicians in particular and many high-income professionals could use with some lifestyle deflation! Lifestyle inflation involves cutting back on purchases or activities that you would normally pursue. That may even mean slashing standing expenses such as a previous home or auto purchase. These steps may also help eliminate consumer debt. Why would anyone want to deflate their lifestyle? Physician on Fire is a great resource for learning about lifestyle deflation including the article below. But! Click the graphic to find out your Prowess Score based on PoF’s methodology to better understand your personal finances. In a busy, rushed, “convenience” filled world where consumerism is at a fever pitch –sometimes taking a step back is just what the doctor ordered! This is pretty self-explanatory. Keeping track of your expenses allows you to see where your money is going. When you eliminate expenses (cutting out the unnecessary or unused products and services) you have more cash to pay toward debt–and get it done faster. And pretty soon you will be able to resume your normal activities. There are pros and cons (and middle ground) to paying the minimum on a credit card debt. Eliminate Consumer Debt: Snow Fight! Are you going for the snowball or avalanche? If you use the snowball, you will pay off the smallest debt, then take that amount and add it to your next target debt. The snowball method eliminates the flurry of bills that arrive every month. That alone might be worth choosing this method. The progress of becoming debt-free may seem to happen quicker! The process of eliminating consumer debt easy and possible. The avalanche starts working on the highest interest rate first–saving you money on interest. The money saved on interest may be a reason to choose this method. Does it really matter which one you choose? There are fans in camps for both methods. However, the most effective method is the one that creates excitement in your journey to financial freedom and eliminates consumer debt! What if everything you are doing isn’t making the cut? Maybe your mountain of debt is too intimidating? It might be time to get some help in the form of education and guidance. Have you tried it on your own and you are sinking into further debt? You are not sure where to turn? Do you need credit or debt counseling? Financial Tools and education? Student Loan Debt Counseling? There is also debt settlement where a company calls the credit card company to negotiate a lower settlement amount. The last resort is bankruptcy. 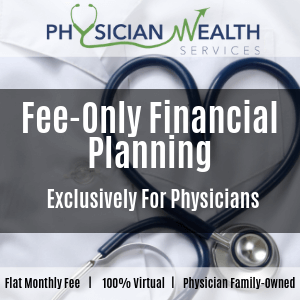 Or you might try Physician Wealth Services (PWS) which is a fee-only financial planning practice helping physician families take control of their finances to position themselves for a bright financial future. While failure is an option, it is not something that has to happen. There may be some psychological beliefs from your past that influence your behavior when handling money. Financial success takes honest self-examination, patience and time. It’s true that at the end of the day it’s your life, your bank balance–and your future. My blog is here to help you overcome your self-defeating beliefs and habits! Did you learn something new? Check out the Financial Residency Podcast. There’s more to learn there too.